Last night I learned what the acronym BPA (Bisphenol A, a chemical compound commonly found in plastic drink and food containers) means. I also found out that Himalayan rocks combat negative computer-generated ions! These are just a few of the facts I learned during the "Women’s Preventative Health Panel: Women Who Health" conference sponsored by the Younger Women’s Task Force-New Jersey Chapter. Speakers included Joan Denzer, Sierra Club; Founder Kathy Morris, Inner Journeys; Program Director Sheila Quarles, Inner Journeys; Certified Personal Trainer Gretchen Vogel; and YWTF-NJ Board Member and Field Director Jackie Cornell-Bechelli, Planned Parenthood. 1. Use glass bottles instead of plastic bottles to avoid BPA. 2. Eat the bigger-sized fish sparingly (if at all) to avoid high levels of mercury (the bigger the fish the more mercury it contains). 3. Visit Shopper's Guide to Pesticides and What's On My Food? to learn which foods contain the most pesticides. 4. Eat organic foods and fruits whenever possible (less pesticides and synthetic chemicals). 5. Stop worrying about weight and the numbers on the scale and instead strive for a body fat of 22% (body fat below 29% is average; 22% is optimal). 6. Reduce intakes of white flour, sugar, and rice (low nutrients, high glycemic foods). 7. Stay hydrated to stay healthy (healthier heart, skin, and water's an appetite suppressant - sometimes you think you're hungry but you're really thirsty) by drinking ½ my body weight in ounces daily. 8. Exercise more effectively: three times a week strength training and three times a week movement/cardio. 9. Get massages regularly. Massages are not a luxury, but a necessity. 10. Research and use natural remedies to alleviate stress and anxiety (burning lavender oil eases stress and reduces anxiety). Hope you find these strategies just as useful as I did! I loved all of the tips I got that evening. I was even telling my husband, while we played tennis today, what Gretchen said about the great benefits of anaerobic exercise. I have to read this regularly as a reminder! Thanks for the read and for attending the conference, Salama. Nice and informative post. 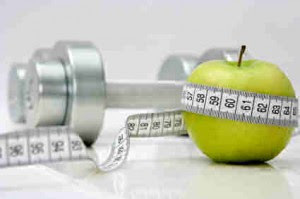 you share a nice tips for the healthy life. health have a prime importance in the life. Proto-col Slim-Fizz is a distinctive appetite suppressant that contains the ground-breaking fibre Glucomannan, which is an organic dissolvable fibre derived from fresh Konjac.